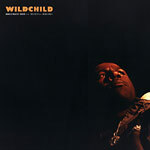 New 12 inch from Lootpack's Wildchild. Feat Percee P. on 1 track. Both sides are Rediculous!!! Knicknack 2002' produced by Madlib. 'Kiana' produced by Oh No.